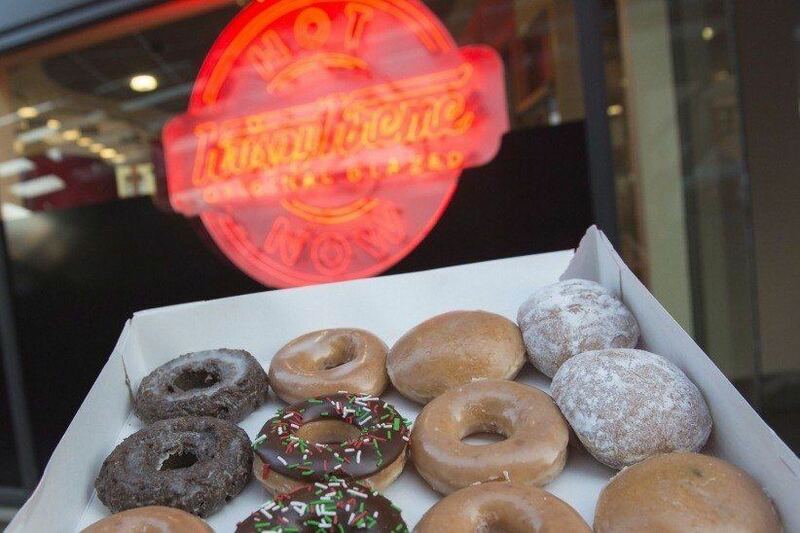 Did you know one location can produce up to 12,000 doughnuts an hour? Going on 80 years this year, popular doughnut chain Krispy Kreme continues to have a huge cult-like following. Celebrities including Frances McDormand and Usher have all been caught biting into the sugary goodness. And according to comedian Chris Rock, Krispy Kreme is like “crack." Although, no one’s really sure what makes this sugary substance so delicious -- the recipe remains a Krispy Kreme secret -- but there are a lot of nuggets we did uncover about the doughnut franchise. 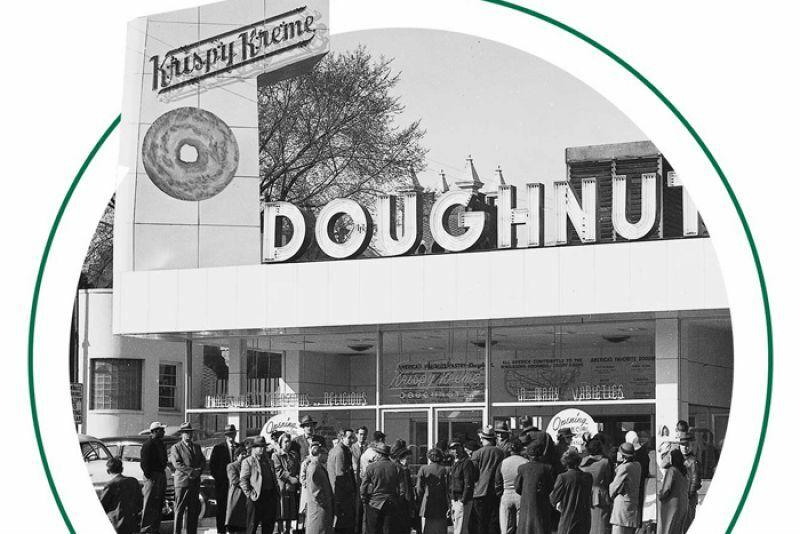 From making an appearance in the Guinness World Records to producing up to 12,000 doughnuts per hour, there are a number of things you probably never knew about the doughnut franchise. 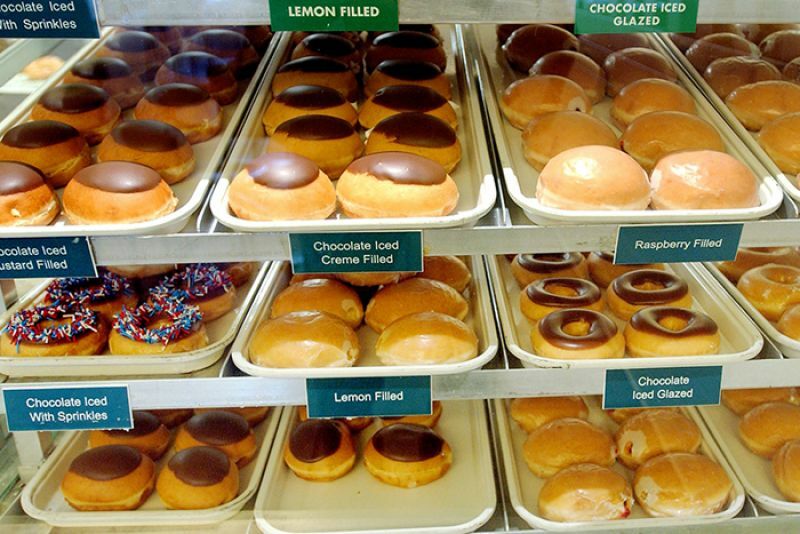 Check out these 10 Krispy Kreme facts that might surprise you. Krispy Kreme was founded on July 13, 1937 in Winston-Salem, N.C. by Vernon Rudolph. That means the doughnut chain will be turning 80 this year. Vernon initially began selling the tasty treats at a historic building rental in Old Salem and to local grocery stores. After much positive turnout, demand was so high that he sold the treats directly to customers through a window on the sidewalk too. 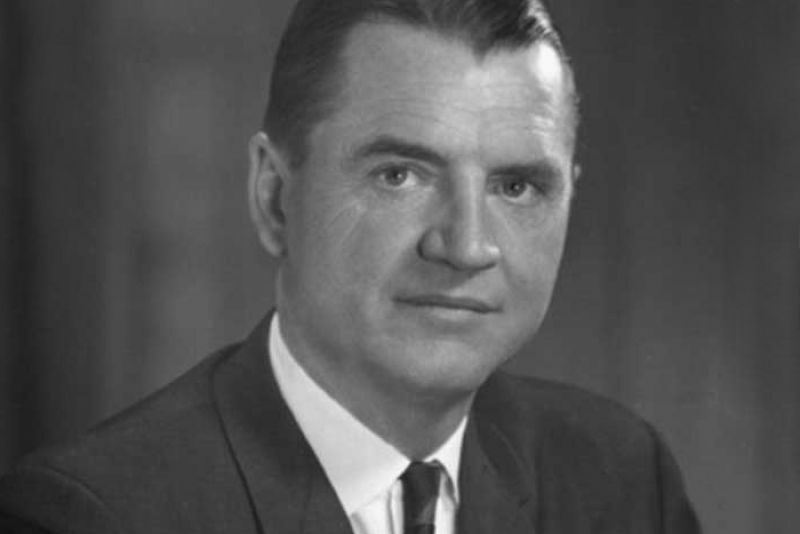 With continual success, the company began expanding throughout the southeast in the early 1950s, with locations in cities like Savannah, Georgia. In 1976, the company became a subsidiary of Beatrice Foods of Chicago but was bought by a group of franchisees in 1982 -- sparking rapid growth for the company. Regardless of its humble beginnings, Krispy Kreme has always been known for its emblematic glazed doughnut. 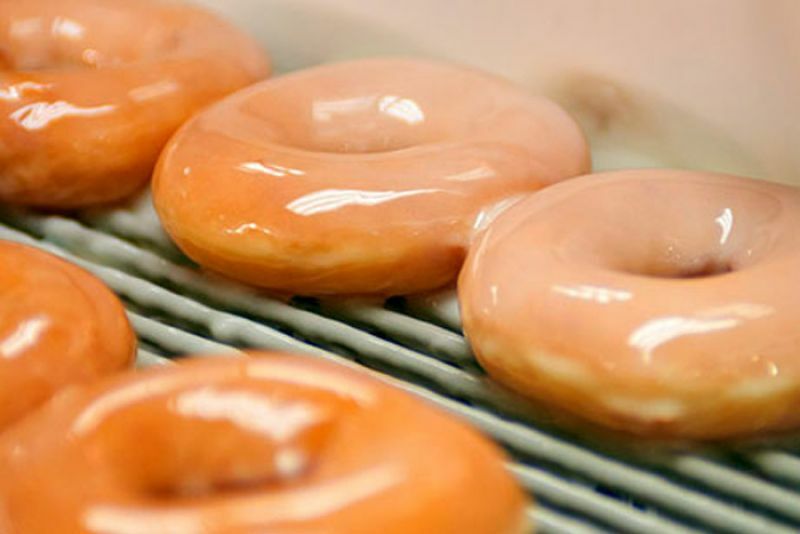 Today, the original glazed doughnut has stayed the same since 1945, and it’s the franchise's top seller. What makes Krispy Kreme’s so delicious? The world may never know. It’s rumored that founder Vernon Rudolph has a special recipe made from a New Orleans French chef stored away in a doughnut plant somewhere in North Carolina. Krispy Kreme is a hot spot for celebrity sightings. 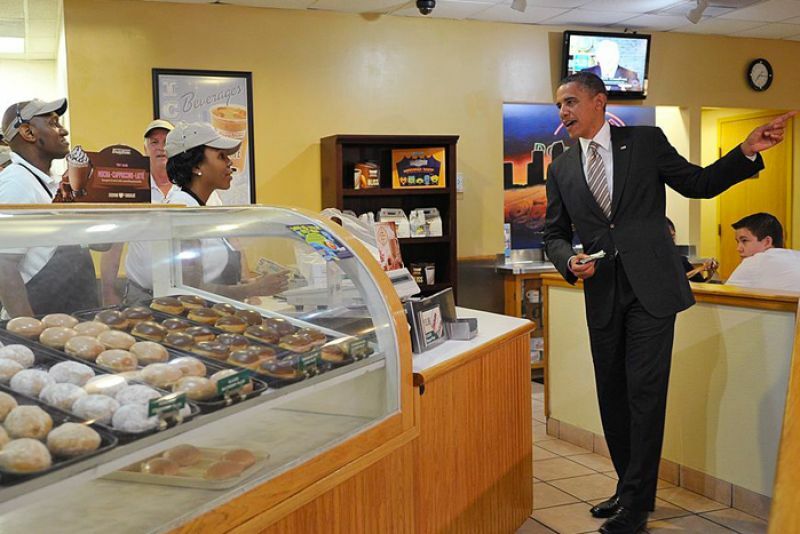 Back in 2012, President Barack Obama stopped by one of the franchise locations in Tampa to pick up three dozen doughnuts that he later dropped off at a fire station nearby. And he isn’t the only star loving the sweet goodness of the Krispy Kreme doughnut. From The Tonight Show’s Jay Leno indulging in a box of Krispy Kremes on-air to Victoria Secret models Gisele Bundchen and Heidi Klum snacking on the sugary treats backstage at the famous Victoria’s Secret fashion show, these famous stars also have a soft spot for Krispy Kreme. Everyone knows that Krispy Kreme donuts are served best when they’re fresh and hot. That’s why the company makes it easy for its fans to find out which franchise locations are cooking up a fresh batch with their “hot light” app. 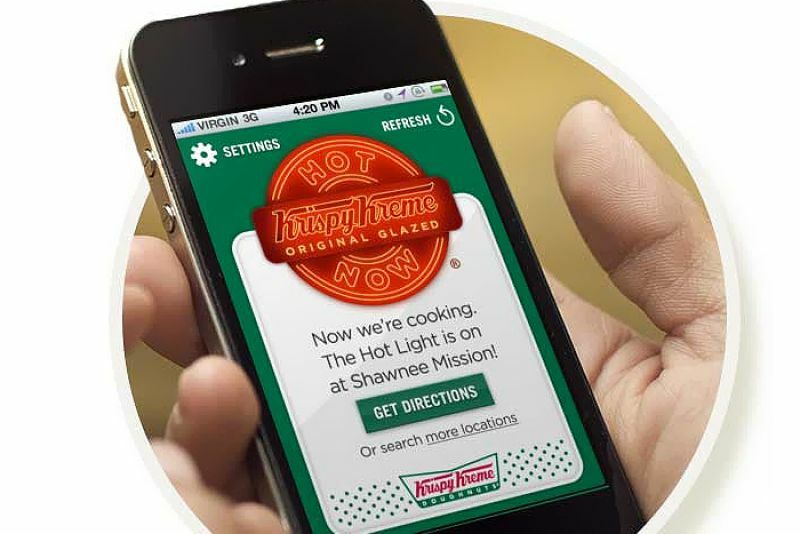 The app tells users where Krispy Kreme’s hot light is on, and even alerts customers when a hot light is on in a location near them. 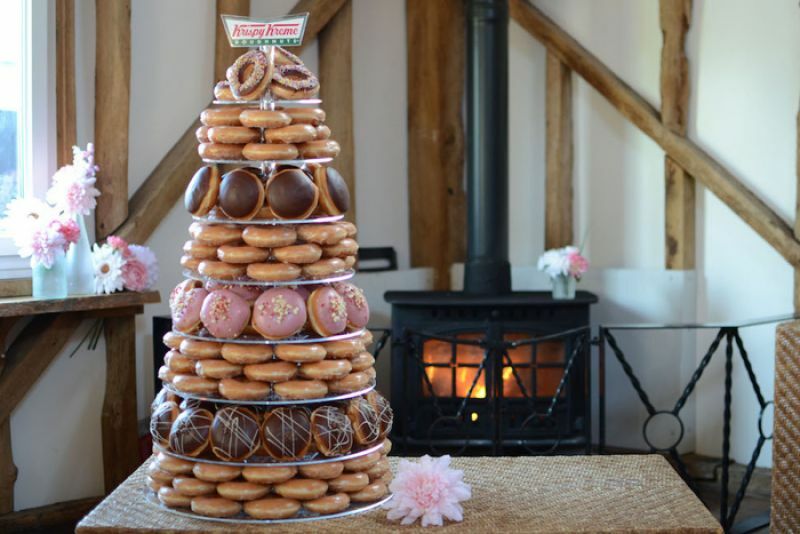 Forget about flour and frosting, spice up your wedding with a Krispy Kreme cake. That’s right -- various Krispy Kreme locations around the world offer customized corporate and wedding spreads. From doughnut towers to individual boxes featuring happy couple’s names, this item is a doughnut-lovers dream come true. You could be a Krispy Kreme challenge champion if you are able to consume 2,400 calories, 12 doughnuts and walk five miles in an hour. 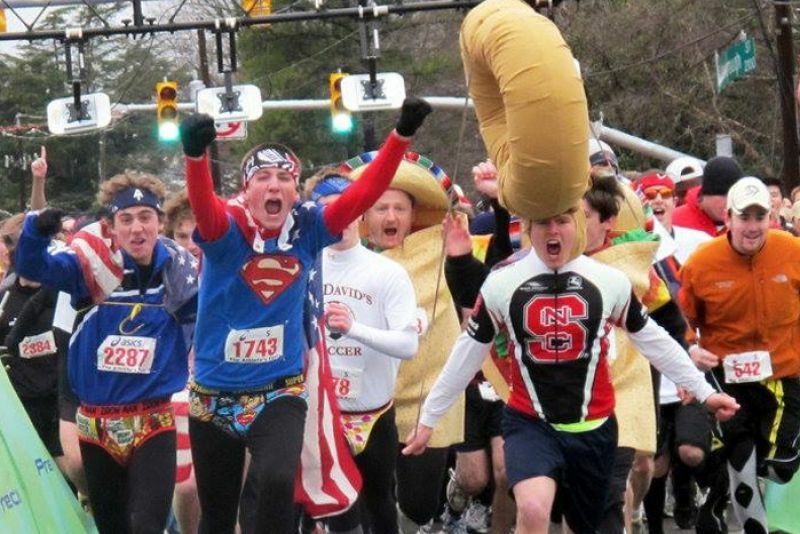 The annual Krispy Kreme challenge is a charity event in February where participants run two and a half miles to a Krispy Kreme location, eat one dozen doughnuts and run back to the finish line in under an hour. The event is hosted in Raleigh, N.C. and donations are sent to a local philanthropy. In 2009, Krispy Kreme made its debut in the Guinness World Records for creating the largest box of doughnuts. 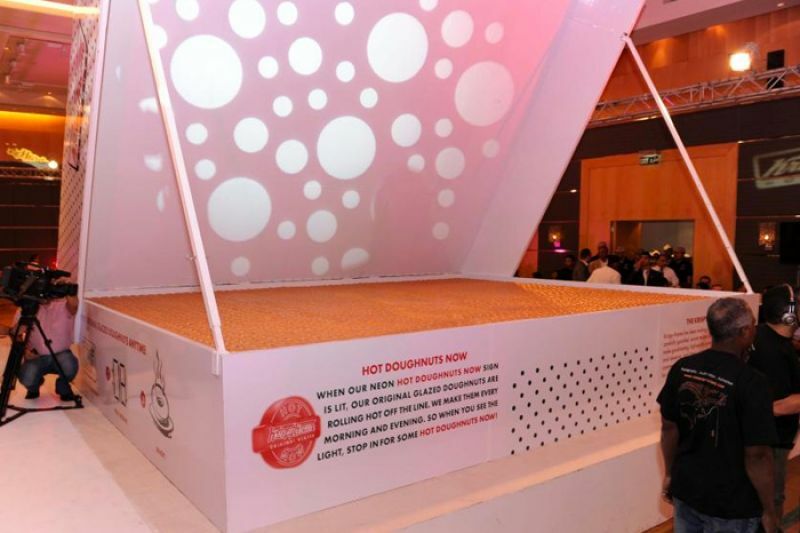 Weighing 297 pounds and 10 ounces, the doughnut masterpiece was created by the Americana Group (Kuwait Food Company). For the city that has everything -- turns out Krispy Kreme doughnuts aren’t on that list. Although in the past there were a number of franchise locations in New York City, today there is only one located inside Penn Station. 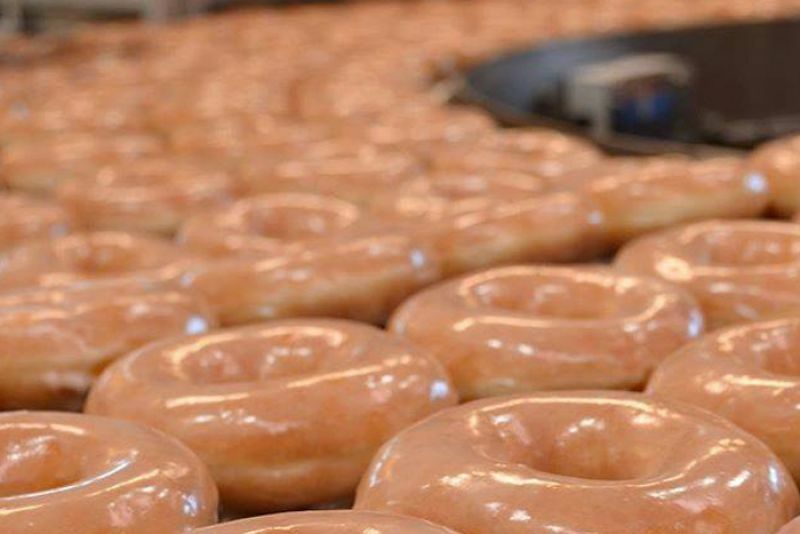 On average, a typical Krispy Kreme “hot light” store can produce up to 3,000 doughnuts per hour. (A hot light store is a Krispy Kreme location that makes doughnuts in the store.) If you think that’s impressive, even bigger stores can produce up to 12,000 doughnuts every 60 minutes.